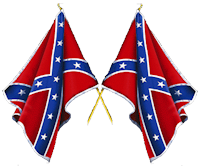 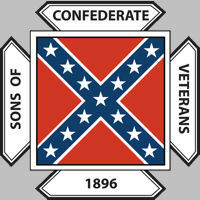 The 1st Lt. David Richard Reynolds Camp #2270 won two National Awards at the 2016 National Reunion of the Sons of Confederate Veterans. 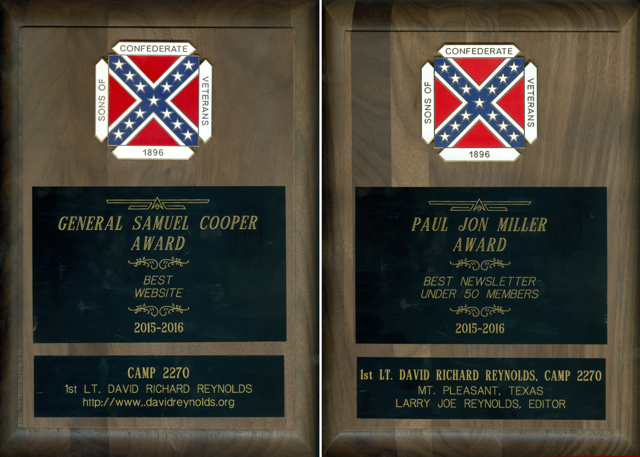 We won the General Samuel Cooper Award for the Best Website in the Nation for 2015-2016 and the Paul Jon Miller Award for the Best Newsletter for a Camp under 50 members for 2015-2016. 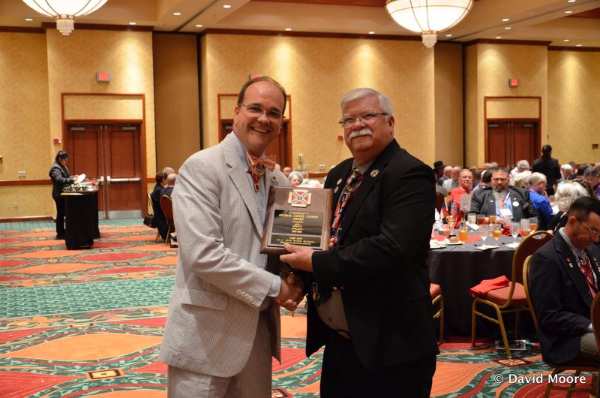 Camp Commander Larry "Joe" Reynolds receives the Best Website Award from Commander-in-Chief Charles Kelly Barrow at the Awards Banquet during the 2016 National Reunion in Richardson, Texas.